Sounds Sensational 2013 – SOLD OUT! 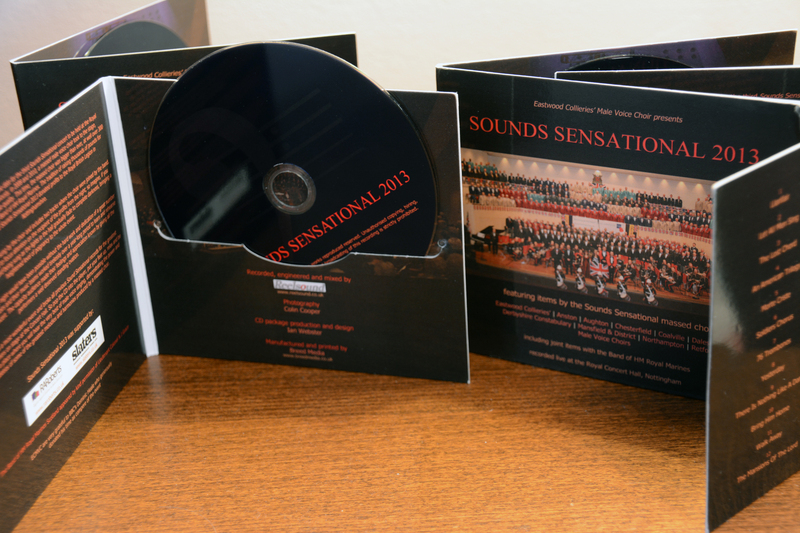 The third in the Sounds Sensational concerts took place in November 2013. 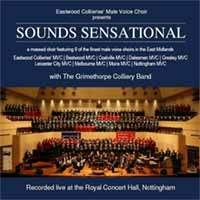 Recorded live on the night at the Royal Concert Hall in Nottingham, the CD captures the remarkable sounds produced by over 300 men and includes two joint items when the choir was joined by the band. Sounds Sensational 2010 – SOLD OUT! 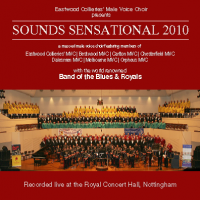 After Sounds Sensational made its debut appearance at the Royal Concert Hall in Nottingham in 2008, such was the clamour for a repeat performance that planning was soon underway for the next one. A truly memorable evening was had by all who were there. And with this double CD you have the chance to experience the concert pretty much in its entirety, allowing you to either re-live great memories or to feel something of what it was like to be there. We were honoured to have with us the world renowned Band of the Blues and Royals who provided brilliant entertainment. Close on 300 choristers reached the culmination of almost 12 months of rehearsals and the joint choir and band items demonstrated how two sets of dedicated performers can produce superb music together. Share moments of sheer magic, joyfulness and poignancy. Recorded live at the Royal Concert Hall, Nottingham. A massed choir featuring ECMVC, Bestwood MVC, Coalville and District MVC, The Dalesmen MVC, Gresley MVC, Leicester City MVC, Melbourne MVC, Moira MVC, Nottingham MVC, joined by the Grimethorpe Colliery Band. Saturday 1st November 2008 and close on 300 choristers, from nine of the finest male voice choirs in the East Midlands, formed a massed choir and took to the stage in front of a capacity audience at the Royal Concert Hall in Nottingham. The massed choir shared the stage with the world-famous Grimethorpe Colliery Band and the whole evening was compered by Dominic Heale, from BBC East Midlands Today. If you were there, then it is hoped that this recording will evoke some happy memories of a wonderful evening. If you weren’t – then just enjoy the music! Many months of hard work were spent preparing for the event. In particular, the choirs spent countless hours rehearsing during their normal practice nights and at monthly joint rehearsal sessions. Grateful thanks are extended to all choristers, musical directors and accompanists for their efforts. Recorded live at the Royal Concert Hall, Nottingham. It truly did SOUND SENSATIONAL! 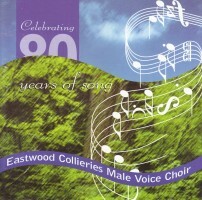 In the year 2000, ECMVC celebrated its 80th anniversary and, to mark the occasion, the choir produced this CD, which includes many favourite male voice choir items.